Sorry about the lack of posts all but ill be getting on top of it soon so keep checking in now and again and see whats new! I’ve had a few trips out on my own over the last few weeks and also a few trips out with my mate Sion Lewis, AKA Lewy 🙂 but due 2 family commitments i really haven’t had the time to sit down and write about the trips so i’ve put a load of photos together of the days out so hope you like! This entry was posted in Fly Tying, River Taff and tagged brown trout, dries, Dry fly patterns, Photos of brown trout, river taff, sion lewis, south wales, south wales fly fishing, Terry Bromwell, water on August 10, 2013 by fishstalker666. 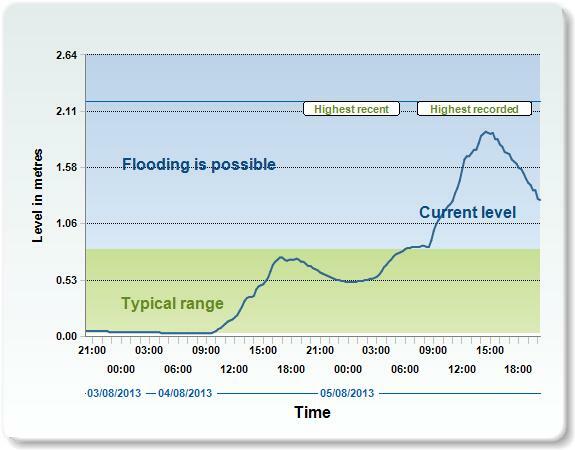 River Taff in flood and about time to! Well this rain was well overdue and was much needed to clear the river bed of all that brown crap! This entry was posted in River Taff and tagged fly fishing, river Taff in flood, south wales, Taff water level, Terry Bromwell on August 6, 2013 by fishstalker666.